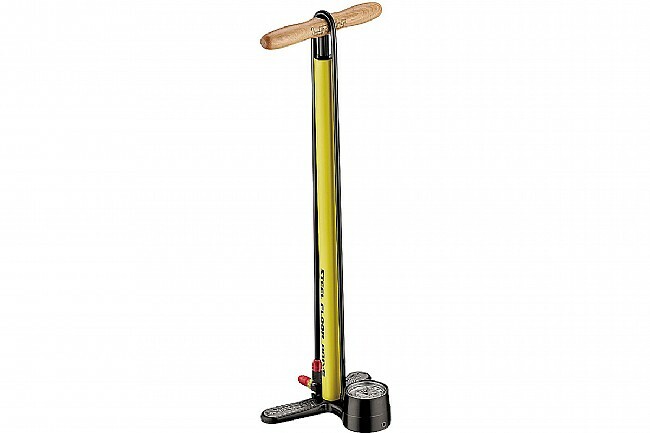 The Steel Floor Drive Floor Pump from Lezyne features a durable machined aluminum base and a steel barrel and piston. The large 2.5-inch gauge is easy to read while inflating and the high-strength hose with composite couplers is extra long so there's plenty of elbow room to work with. The varnished wood handle adds a touch of class as well as a comfortable, smooth grip surface. Dimensions: 5.9” x 7.9” x 25”.